Tehran - Hundreds of runners took part in Tehran's first-ever marathon on Friday, but many women were outraged to find they could only run a short distance in a closed-off stadium. While men ran through Iran's capital in the morning, women were allowed to run just 10km in Azadi stadium in the afternoon - with no male spectators or officials permitted. Many were baffled by the move, since there are no rules against men and women running together in Iran - and joggers of both sexes are often seen in parks and public areas. "I registered but I quit. I took back my 500 000 rials ($15) because we were deceived," Nasim, an architect in her 30s, told AFP. "When they separate us, it is like they are casting us aside. They are insulting us. 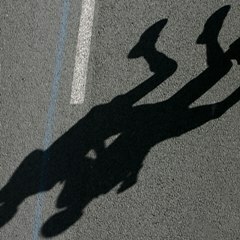 Everywhere in the world, marathons are held on public streets - not in a closed space," she said. Sports Minister Massoud Solanifar denied claims that the separation of sexes was imposed at the last minute. "From the start, there was no chance the competition would be mixed," he told Iranian media. Professional sporting events are strictly segregated in Iran. Women are not even allowed into sports stadiums to watch football - although they were allowed to watch Friday's marathon. "I didn't know the run would be segregated and if had, I think I would not have signed up," said Hedieh Madani, a 28-year-old teacher. "The way the women's section was organised is very offensive. I usually run with my friend outdoors. It's really nothing special. If you go to parks, you see men and women running." Several dozen foreigners took part in the marathon, from around 40 different countries. "I'm very disappointed that I can't do the full distance because I trained for it, but my husband is running so I will cheer him on," said Cecile Maceron, a French runner who had travelled to Iran specifically for the event. The organisers had said around 30 Americans would run, but only one Iranian-American showed up. Among the men, at least, the event was well-received. "I have just run my first marathon and it was great. The route was good, there were quite a lot of people cheering us on. For a first marathon, it was a big success," said Thomas, a 22-year-old French lawyer who has lived in the city since January. Only amateurs took part in the inaugural event, but the organisers say they hope to attract professional runners in the coming years.